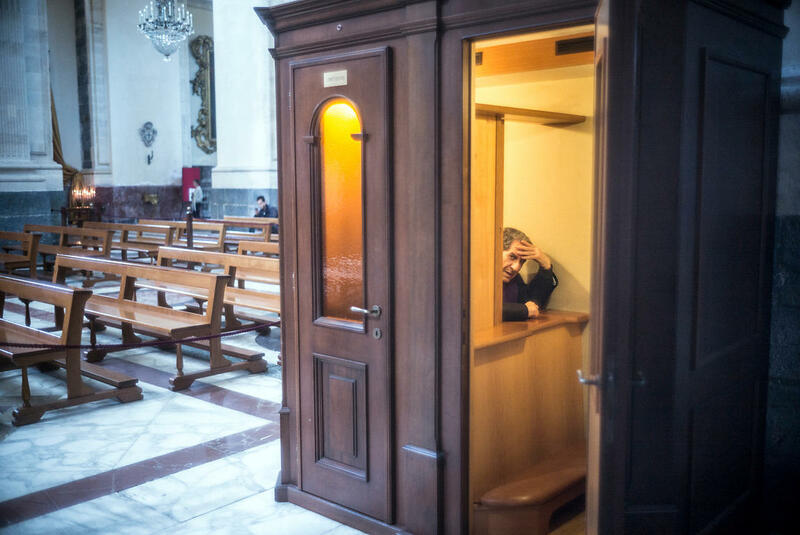 Stuart Freedman | A priest awaits confessions in Catania Cathedral, Catania. A priest awaits confessions in Catania Cathedral, Catania. A priest awaits confessions in Catania Cathedral, Catania, Sicily, Italy.Duomo di Catania (Cattedrale di Sant'Agata), is dedicated to Saint Agatha. It was the seat of the Bishops of Catania until 1859, when the diocese was elevated to an archdiocese, and since then has been the seat of the Archbishops of Catania.